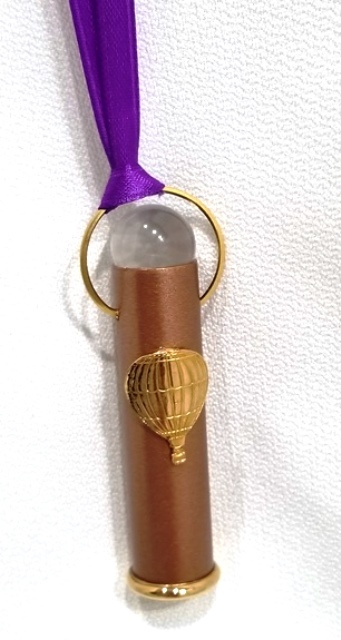 Copper teleidoscope necklace decorated with hot air balloon emblem. 5/8" diameter tube with clear marble lens. 3" overall length. 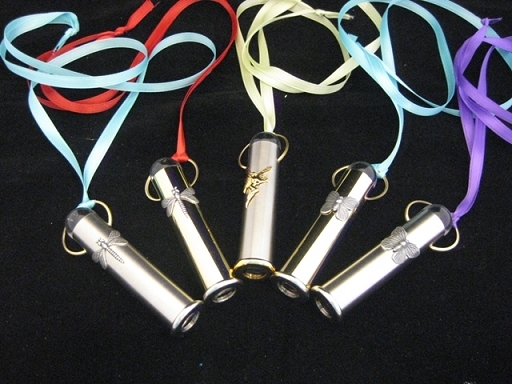 Ribbon color varies.